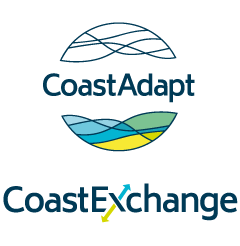 CoastAdapt provides a compendium of case studies from Australia and abroad to illustrate what coastal practitioners and decision makers are doing to adapt to a changing climate. They describe real-world adaptation planning and actions and provide insights into lessons learned, effective strategies and potential pitfalls. Case studies in CoastAdapt are organised under 13 categories to help you find something to match your interests. There are brief snapshots, longer full case studies and engaging videos. South Coast Wilderness Oyster farmers have used CoastAdapt to integrate and promote action both within industry and among stakeholders who influence the farming environment. In this snapshot we detail how the BSW has progressed in its climate change action. A study comparing ‘lived values’ and ‘landscape values mapping’ approaches to understand the social risks of sea-level rise identified important social values and identified groupings of community members that might be impacted differently by adaptation measures or failure to adapt. A case study of professional development and capacity building in Tonga. This snapshot describes a Regional Climate Modelling Project that developed detailed climate projections for south-eastern Australia to support adaptation planning in the NSW and ACT governments, as well as local councils, businesses, and community groups. The Climate Change in Australia website is the most comprehensive site for climate projections information ever developed for Australia. It provides data, information and guidance about Australia’s future climate under a range of different scenarios. An overview of the Byron Shire Council provisions and the results of an audit of development at Belongil Beach in Byron Bay provide insights for practitioners considering planning controls as a tool for adapting to climate change. The Bega Valley Council has implemented an integrated coastal management program that allows adaptation to the changing physical processes of the coast and seeks to meet the present needs of the community and those of future generations. This video summarises the activities undertaken by the nine councils from Western Australia that are part of the Peron Naturaliste Partnership and are preparing to address the impacts of climate change through empowering their community, mapping and valuing their assets at risk, and taking a pathways approach. Port River is SouthAustralia's largest port, but with improved water quality, nature-based solutions are able to be implemented to improve ecosystem connectivity and stability.